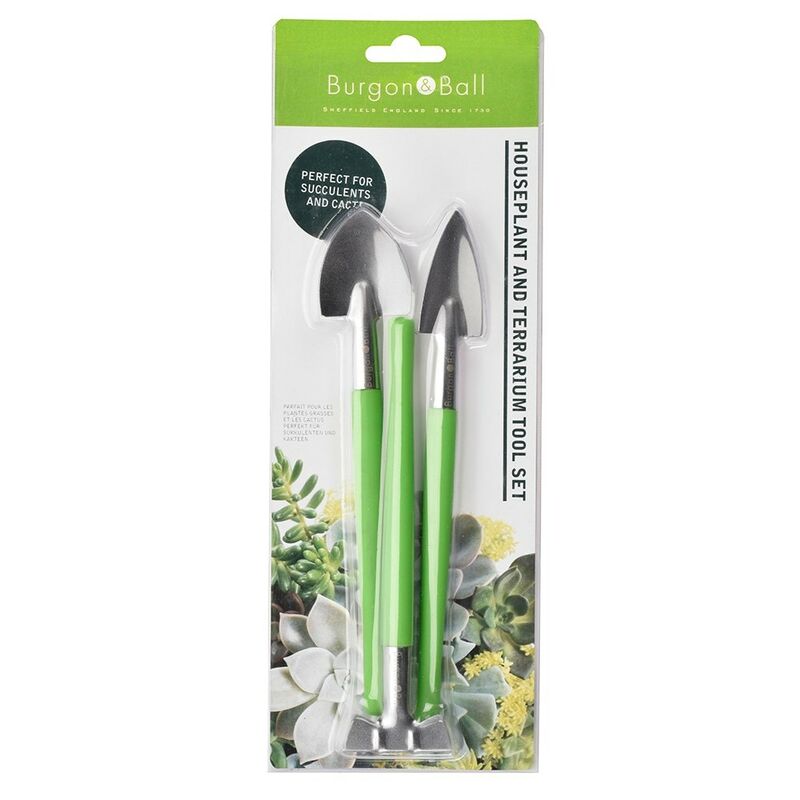 Buy Burgon and Ball houseplant and terrarium tool set: Specially designed for maintaining houseplants and terrariums, this miniature tool set includes two digging and weeding tools and a rake for cultivation.<br><br>The narrow heads make them ideal for taking care of smaller plants like succulents and cacti, as well as transplanting offshoots and creating closely planted displays.<br><br>The long handles offer easier access to deeper terrariums and through narrower container openings. 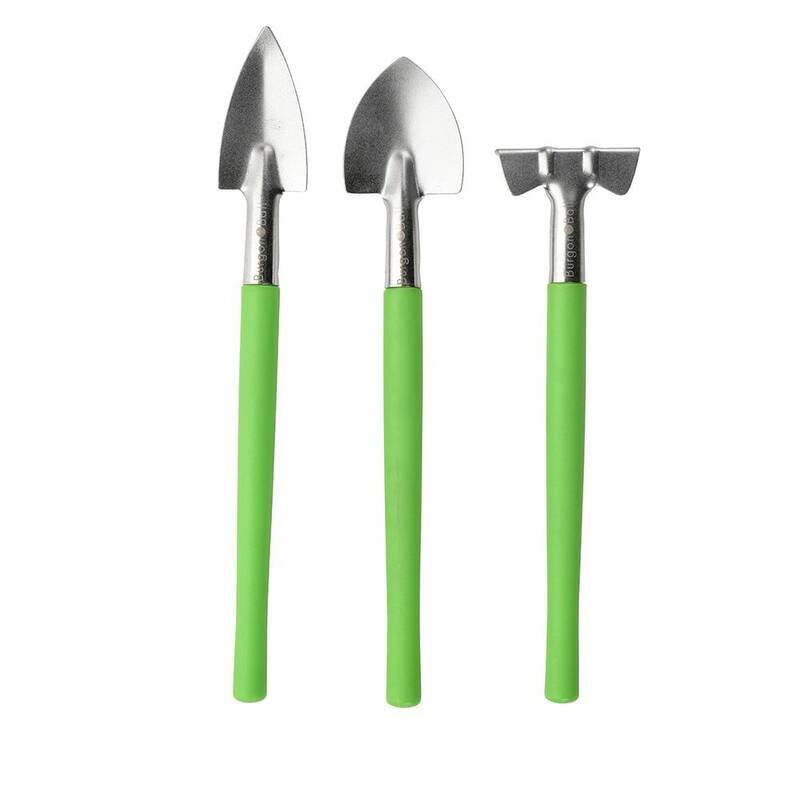 Specially designed for maintaining houseplants and terrariums, this miniature tool set includes two digging and weeding tools and a rake for cultivation. The long handles offer easier access to deeper terrariums and through narrower container openings.